In the middle of February 1945 the city and the fortress of Graudenz (Grudziądz), in West Prussia, were under siege. The defence of Graudenz, led by Gen. Ludwig Fricke, lasted until March 6, when the entire German army capitulated, and most soldiers were taken prisoner. The description of battles is enriched with numerous reports of mainly German soldiers. 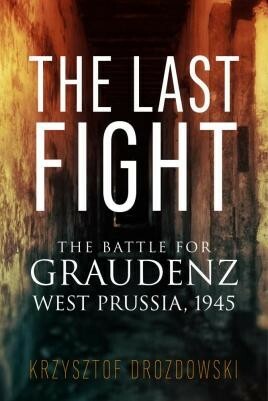 This is the first publication describing the struggle for Graudenz in 1945. The book is enhanced with appendices containing orders of battle, besides featuring rare photographs.